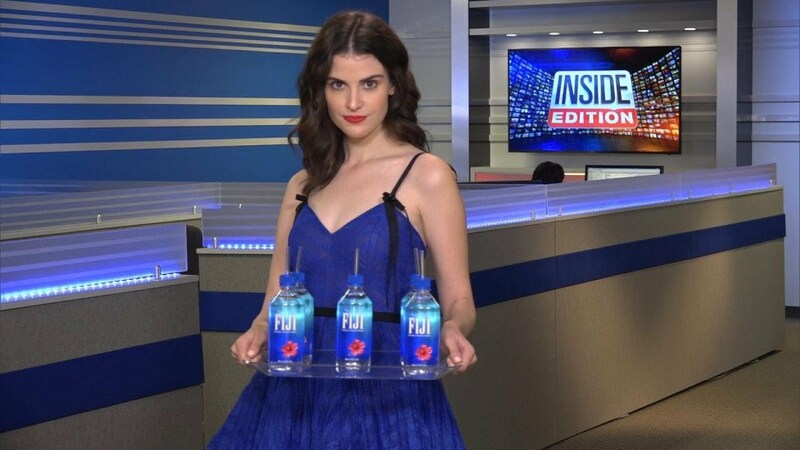 The Fiji Water model who stole the show on the Golden Globes' red carpet is revealing the secrets of her brazen publicity stunt. Kelleth Cuthbert, a Los Angeles-based model, set the internet on fire after she photobombed some of Hollywood's biggest stars while carrying Fiji Water at the event Sunday night. "I was absolutely shocked," she told Inside Edition. "You would think the coverage would not be about me." She squeezed into the background of photos of Amy Adams, Jim Carrey and Idris Elba.